Wondering what your parenting style is? 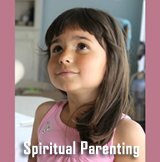 Then take this advanced parenting style quiz to learn about what values, ideas and beliefs guide you as a parent. When you have completed this parenting style test after answering 10 parenting questions, you get to go in-depth with your specific parenting personality and discover many fascinating facets to your way of raising your children! 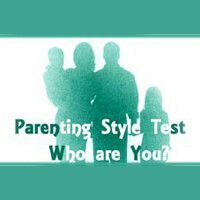 The ultimate goal of this parenting quiz is to help you determine your parenting style. But this is not all you get. You also get unique insights into your personality in general. For instance, when you discover your parenting style, you'll get a description of main characteristics and access to high-level articles that will help you to understand more about what motivates you and what triggers you. Insights that you might find highly valuable in terms of personal development and self improvement. When you take this personality quiz for parents, you will be asked 10 parenting quiz questions about your attitude to or opinion about certain concepts central to parenting. The parenting questions focus on topics such as child discipline, control, respect, conflicts, rules and the like. After each parenting question, I will present you with four different answers, A, B, C and D. You have to choose one and not down your choice. In order to get the most precise answers to this parenting style quiz, I recommend that you follow the following guidelines when choosing your answer. Read all the answer possibilities to the specific parenting question first before making your choice about which answer you choose! When you choose an answer, try not to spend too long thinking, pondering and weighing the details of each answer. Try to be relatively fast, use your gut and instinct and stick with the answer that seems most fitting overall. Try not to think it to death :-) The way that this parenting quiz will work the best is if you 'sense' and 'feel' your way to the answer. Sometimes it may be difficult to find an answer that fits 100%, sometimes some of the answers may seem similar, but then just choose the one that seems most right for you and note down the letter (A, B, C or D) on a separate piece of paper! Try to be honest! I think we have all tried tests where we deliberately answer 'falsely' or 'wrongly' because we want a certain 'positive' test result. We want the quiz to tell us something nice that will sustain our pre-established self image. However, in order for the test to be of most value to you, try to answer according how you actually perceive things rather than the way that you would want to see things or that you think is the 'correct' way to see things. Okay enough talk about this parenting quiz, let's roll up our sleeves and get busy with it. So leaving scenes for you to get busy answering the 10 parenting questions. What is child discipline to you? A. Absolutely necessary and one of the most important aspects of good parenting and successful child rearing! Children need to learn who's in charge, otherwise all hell breaks loose. Strict and firm child discipline is therefore absolute necessary in order to avoid spoiled, lazy and rebellious children who don't know the meaning of respect, hard work, and how to advance in life! C. Necessary in the form of a gentle but firm hand! Love is extremely important, but no discipline at all is not doing my children any favors, on the contrary it's actually more confusing than good. My children need to learn that the world doesn't dance to their pipe, that they cannot always get their way and that there are certain rules to be followed and rights and wrongs to live by. B. Completely useless, old fashioned and damaging! I think the very concept of child discipline itself is limiting for my children's emotional development and restrictive of their sense of freedom, inborn curiosity and creative thinking! D. A wrong focus! I don't actually use or think in terms of good or bad child discipline. To me parenting is more about working with my child, tuning in sensing what my child needs right now while at the same time keeping my long term goal glasses on. Sometimes rules and limits are needed, sometimes they are not! Sometime I have to step in; sometimes I need to let go and back off. Different situations require different answers! What do the concepts respect and authority mean to you? B. I don't believe in authority, hierarchy and subordination. Being an authority equals suppressing my children and limiting their free exploration of the world. I don't need respect from my children. All I need my children to be happy and live out their potentials without my limiting authority, preconditioned beliefs and constant supervision. A. Oh, respect and authority are extremely important parenting issues! In order to raise well-behaved children that don't disrespect their parents, a parent needs to be an indisputable authority! To get respect out of my children, I may become angry when they disobey. I may punish when they're bad. If I don't become angry or in other ways punish when my children are rude or bad, my children would never learn the real consequences of their actions. C. I believe that a certain degree of respect and firm authority is needed not only to make my children feel secure but to make the whole to family to work together as a well-balanced unit. A child needs to know that I'm always there, always open for discussion - but disrespect, disobedience and rudeness will not be tolerated. Therefore I consider myself a warm and sensitive parent but still an authority nonetheless who may punish when my children need to understand the consequences of their actions. D. I don't want to be an authority as such. I'd much rather be an inspiring role model than an authority to my child. To me the difference between role model and authority is that to me authority is linked with acting and obeying out of fear while a role model has do with inspiration and working towards something that feels good. I don't demand respect via rules and demands, I teach my children respect by being those qualities that I want them to feel, learn to be and ultimately possess. I live by the philosophy; show your child respect, and you will get respect right back. A. I don't tolerate improper behavior. I simply will not have it under my roof! Therefore I strike down hard on rude disobedience and immature tantrums. Children need to learn their place and sometimes they need to learn it the hard way. So I to settle conflicts I may become angry and I may use punishments cause sometimes that's the only language children really understand. B. First of all, I don't believe conflict do anybody any good. And to be honest, conflicts actually scare me a bit. Besides I believe conflicts are unnecessary and can be avoided. When conflicts with my children arise, I try to calm the waters and divert my children's attention to something else, something that will make them happy. 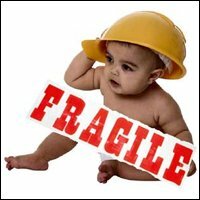 D. Conflicts, tantrums and arguments are just signs of frustration which again is very often a sign of an unfulfilled need. So when my child is angry, I try to not meet my kid with the same kind of angry or aggressive energy that he or she is consumed with. Two people screaming do no good. So I try to stay cool to find out what need lies behind my child's behavior. And if I can, I will meet this need. If not, I do my best to show openness, love and acceptance which always have a calming and healing effect. C. Conflicts are unavoidable and children will always test their parents and try to push the limits. When they do this they need to feel understood but also know that there are limits! To secure, they need to know who's in charge. Therefore I will listen to my children, hear what they have say, but my word will always be final. This means that yes, I do raise my voice when necessary and yes, I do punish when needed. How do you control your children? D. I generally try not to control my children. I think controlling children both via anger, threats and punishments but also via bribes, praise and rewards are not only problematic because they focus on 'brutally forcing' or 'manipulatively tricking' children into doing what we parents want. I believe that all the control tools above take advantage of our children's dependence of our love, attention and recognition. Control tools make our children work for being accepted. And full love and acceptance shouldn't have to be earned, it should just be there. B. I don't believe in, and therefore don't use, overt and direct control with my children. Control is a hindrance to free growth and development. Besides, I don't want to see my children sad or unhappy. So to get my children to do what I want, I much prefer praise and rewards. I prefer a healthy and happy smile to a sad face. C. Like discipline, you also need to control your children, at least to some extent. Control and discipline are necessary in order to teach my children to become socially responsible who also care about other people. If children think they can do whatever they want, how would cope the later demands from society? As a control tool, I prefer to use the tools of rationality and explain to my children the logic behind my rules and demands so they understand why they must comply. A. By being an authority. By letting my children know that I'm the boss. I have very high expectations of my children and their behavior and in order to get compliance and obedience they need to respect me. They need to fear me a little bit. 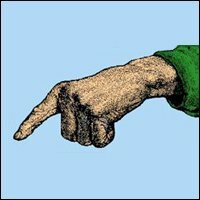 So, some of the most effective parenting techniques for controlling my children are treats of consequences for disobedience and punishments for rudeness. B. Rules are not only unnecessary but also make my children stupid and hinder their emotional, mental and psychological development. Rules are limiting to personal growth and suppressive to my children's free will. D. I'm not a firm believer in rules as such but sometimes rules are necessary. For instance, my children need to learn the traffic rules - red means stop, no discussion there. Otherwise I always put on the Big Perspective glasses to see what is needed in a specific situation. I use my gut to sense if rules are needed or not needed. Rather than saying, 'You can't do this! ', 'You mustn't do that! ', I try to show them the consequences of their actions or tell then the effects what they've done thereby appealing to their inner values rather than imprinting some rigid, black and white set of rules in their minds. C. As a principle, there have to be rules. My children need to learn that there are limits to personal freedom and that they cannot do whatever they feel like all the time. Therefore to install a sense of cooperation, responsibility and duty in them, I believe in e.g. household chores. A. Rules are absolutely necessary! Without many rules and strict rules everything would be chaos and my children would be completely uncontrollable and irresponsible. In a sense rules are needed for me to get peace of mind and to keep my children's inner wild nature in check. How do you teach your children values? D. I try to teach my children values through my own behavior rather than preaching how I want them to behave. In other words, I teach them respect, understanding and thoughtfulness by being it myself. I believe children learn best through unconditional love and via concrete examples. So I try to show them good values via the way that I relate to them. If I want them to understand the joy of helpfullness, I help my child when help is needed. Teaching through my actions is much more powerful than preaching through my words. C. I teach my children good values both trough what I say but also through the demands I have and rules that I make. For instance in order for my children to become responsible human beings, it is necessary that they learn good behavior and that requires certain rules of proper conduct like answering nicely to questions, helping out around the house, cleaning up their own rooms etc. 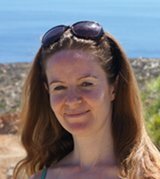 B. I let my children explore the world freely in order for them to find their own values. I want them to find their own truths and I don't want to brainwash them with my own ideas and beliefs. A. First of all, I tell my children what are good, decent values to live by. But sometimes strict discipline is necessary for them to truly understand what I mean. Sometimes children need to learn things the hard way. When I punish my children it's for their own good. If I didn't punish, how else would my children learn what is right and what is wrong. What are your future goals for your children? C. I want my children to be happy. If they are happy, I am happy. I want them to find a fulfilling job and a good partner they will love and who will love them back. I want them to find out who they inside are while doing their best for the people around them. A. I want my children to be strong, independent and successful. I want them to develop stamina, work hard to get a good education so they can get a good job and become good citizens. I want them to make me proud! D. I want my children to know and live true happiness and unconditional love. I want them to really know and use the power of unconditional love, openness and full acceptance. Once they truly know this power, I can let go so they may live a deeply meaningful life. B. I want my children to grow into free human beings. I want them to go on exploring their skills so that they may live out their full potential. What are you to your child? B. I view myself as an equal friend to my children. I believe in the power of flat hierarchy and want my children to feel that they can always come to me. A. I view myself as a sort of moral guardian. It's my duty as a parent to make sure that my children learn the difference between good and bad, right and wrong. 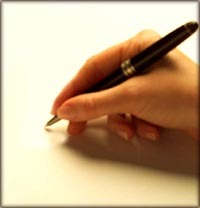 D. I view myself as a sort of guide in life and consciousness and a source of unconditional love. I try to always have an eye open for the long term perspective and guide my children towards what I sense they need until they can take over and guide themselves. C. I am warm, loving and friendly with my children but I'm not their friend. I'm their parent, an authority. I let my children know that I love them no matter what but I may also be hard if it is required. C. Emotions are generally ok and I have a broad tolerance of acceptance. However, I will not accept a direct sign of disrespect such as my children yelling at me. Such a display of emotions is unacceptable and makes me angry. B. I don't like negative emotions. In truth, powerful emotions can be a little bit scary. I try to what I can to avoid meeting them in my children. This may mean letting my children have their way most of the time. A. I think showing emotions is generally a sign of weakness. In order for my children to be strong people, they need to learn to control their emotions and not let them run the show. If they show their emotions too much, they will be vulnerable and other people may exploit them. 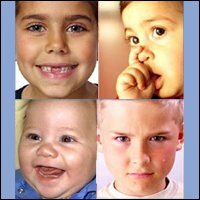 D. Emotions in my children are typically just a result of an unmet need (a need for attention, autonomy, bonding, even something as basic as sleep etc.). Emotions are typically my children's only way of expressing their unmet needs so I try not to become angry and so that I don't 'punish' them for feeling the way they do. What are your most important parenting tools? A. My strong values, knowledge of 'what's right' and high sense of moral judgment. I have very high expectations for my children which are necessary for them live up to if they are to do well as adults. In order for my children to learn and grow they need to know when they're failing and therefore need to put in more effort. D. My unconditional love and support, strong gut feeling and instinct along with my constant view for the long term perspective. I try not to judge my children and to not be ruled by rigid norms and popular mainstream ideas but to always be supportive and keep a constant open mind. C. My rational mind, good human values along with my parental love. I love my children to death but that doesn't mean that they are free to do whatever they want. I'm open for discussions and use the tools of logic and common sense when I argue my standpoints. B. My tolerant, flexible mind along with my warmness and love. I don't want my children to feel restrained or inhibited so I try to keep a rather long leash letting them do what they want ... most of the time! Before you go on reading the test results, please be aware that most of us don't just act and think according to only one particular parenting style all the time. We're not static. We often change according to situations, according to our children's mood and according to our own mood. This may be why you probably have answers that are not 100% consistent (meaning being only one type of letter). Most likely though, you probably have one letter that appears fairly consistently while the other letters perhaps appear now and again. Let's go on reading about your result. Read on and discover more about the authoritarian parenting style. Very firm and set ideas of what's right and what's wrong, what's good and what's bad - both in politics, in people and as regards opinions on child rearing. Like to judge and measure people and in terms of their qualities and skills. Tend to idealize some people while looking upon other people as failures. Structure, order and predictability is very important. Within the family there is an indisputable social hierarchy - those at the top, the parents, have full authority are to be obeyed. Have lots of rules that are to be unquestionably followed. Children are not encouraged to question rules or have individual opinions. Things are therefore not up for discussion. Have very high expectations of children's behavior, performance and accomplishments. A child acting out or throwing a tantrum will be stopped instantly and punished for bad behavior. Don't like to show emotions of any kind. All emotions are potentially dangerous. May appear insensitive as showing tenderness and loving affection is believed to be unnecessary and a sign of weakness. Cannot always keep all those emotions in control so struggle with a short emotional fuse that easily burns down. Resort to various forms of punishments if the children don't live up to the high standards. Punishments may be threats, guilt induction (making the children feel bad about themselves) and physical spanking. Love their children but also tend to view them as enemies that have to be kept down otherwise they will invade and take over everything. This was a quick look into the mindset and behavior of authoritarian parents. Does this parenting style quiz point towards what may be called permissive parenting? Do read on to see if you recognize the characteristics! Are a warm, caring and loving parent and tries to show it as much as possible. 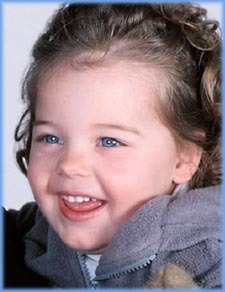 Are very focused on optimizing the conditions for the children's emotional well-being and development. Have few house rules and low standards for behavior. Strive toward being non-restrictive. Rules are generally perceived to be limiting for personal growth and free development. Find it very important to support individual autonomy and make space for creative expressions. Have a flat family hierarchy and refrain from overt control of children and believes in the power of self regulation. Prioritize family harmony and upholding peace even if it might include a self sacrifice (giving in or obeying children's wants). Try get some indirect control over their children via various form of manipulation such bribes, rewards or praise. This was a quick look into the ideas and behavior of permissive parents. Ok, you got most C's? Do read on to understand more about your parenting style. Are warm, responsive and loving and strives to be there and meet the children's needs. Children are allowed to have their opinions and are encouraged to express them but the parents always have the final word. The children know this and must accept it! Find it important to be reachable, but still firm and unwavering in conflicts. Listen to the child but as a principle, will not give in. It is not acceptable to 'lose' in an argument or back off in a fight. Encourages individuality but NOT at the expense of sociality. This means that the child is allowed to act according his or her individual will as long as it does not jeopardize the social structure or go against conventional norms. Parental control is necessary and carried out via verbal reason, mental logic and physical force if necessary. Find it important to find the right balance in parenting where one is neither too strict, suppressing the children, but also not too indulgent, leading to spoilt children. Do use punishments when it is found necessary that the children need to understand that certain behavior is unacceptable. May become angry, take away privileges or use time-out. This was a quick look into the thought pattern and behavior of authoritative parents. Did the results of this parenting style test point towards unconditional positive parenting, please dig in below to know more. Believe in loving and supporting children unconditionally thus showing full acceptance of their person regardless of their behavior. Try to see the Big Perspective and do thus not take any mainstream norms or habits for granted. Try to connect with their higher awareness (intuition and gut feeling) in all situations in order to sense what is needed - both for the child and themselves. This may mean tuning in to read the child and discover an unmet need or 'staying cool' through conflicts to sense what is needed on an overall level. Strive to work with the child and empower, rather than work against the child and disempower. Teach through Being rather than preaching through words. Become those qualities that they want the child to feel, learn and understand. Believe that what you give, is what you get. Try to maintain a constant open and positive mind and do not believe in punishment of ANY kind. 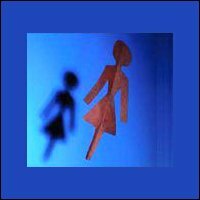 Is conscious of not using various tempting love withdrawal techniques such as e.g. time-out, anger or ignoring. These were some brief insights into various conscious parenting styles. 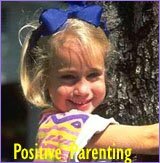 If you wish to know more about unconditional positive parenting than you get on this parenting style quiz page, you might like these high-level parenting articles on positive parenting, attachment parenting and unconditional parenting. This is the end of this parenting quiz. Hope this parenting style quiz was of use to you. If you want another parenting quiz, you're welcome to try one of my other quizzes and tests below.